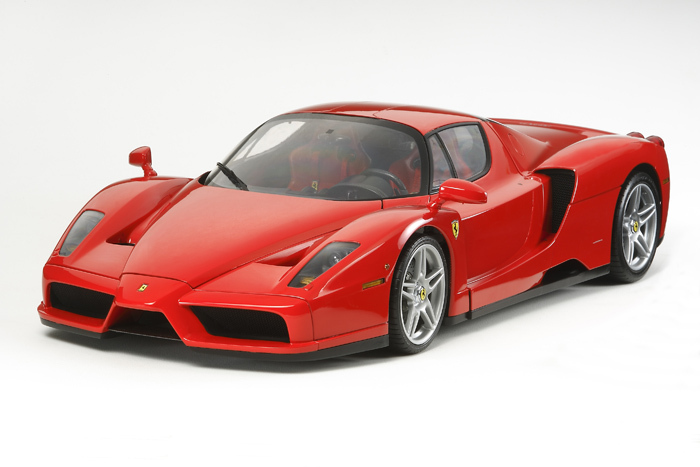 TAMIYA 12047 ‘LTD’ ENZO FERRARI (1/12)! • This is an assembly kit version of Item 23205 1/12 Enzo Ferrari Semi-Assembled Premium Model. • Features newly-designed engine parts and chassis under panel. • Vinyl tubing depicts ignition cords, brake cables, etc. to achieve a realistic finish. • Photo-etched parts are included to depict mesh grilles, seatbelt buckles, etc. • Decals, metal transfers, side emblem stickers, masking stickers, and seatbelt stickers included. • 2 types of screwdrivers are included for use during assembly.